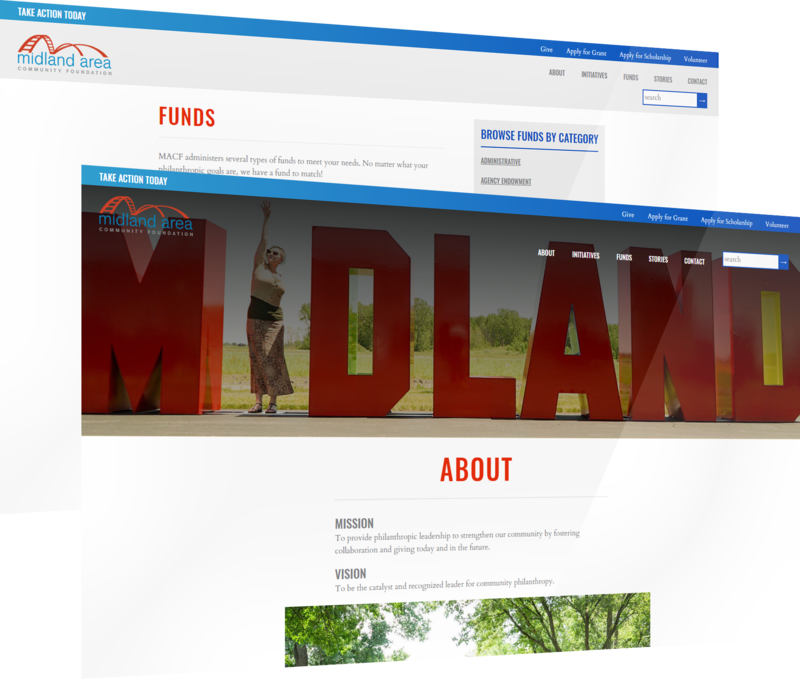 The Midland Area Community Foundation had finally outgrown their template-based website. They asked us to help with build a new site with a design to match the bright optimism they bring toward improving the community. Their website is used by a wide variety of people (including donors, grant seekers, volunteers, and community members). The design needed to be intuitive and useful for all of them while also being easy for the Foundation staff to manage. Because they’re involved behind the scenes of so many great things (from pet shelters to festivals to scholarships), a lot of people just don’t have a full understanding of what the Midland Community Foundation does. The home page’s job was to fix that. After reading short introductory text, users can browse an animated timeline of the Foundation’s accomplishments. And because their priorities change regularly throughout the year, there’s also a space for the Foundation to highlight a current priority (from a scholarship deadline to the RiverDays festival) on the home page. SquareSpace can only do so much. 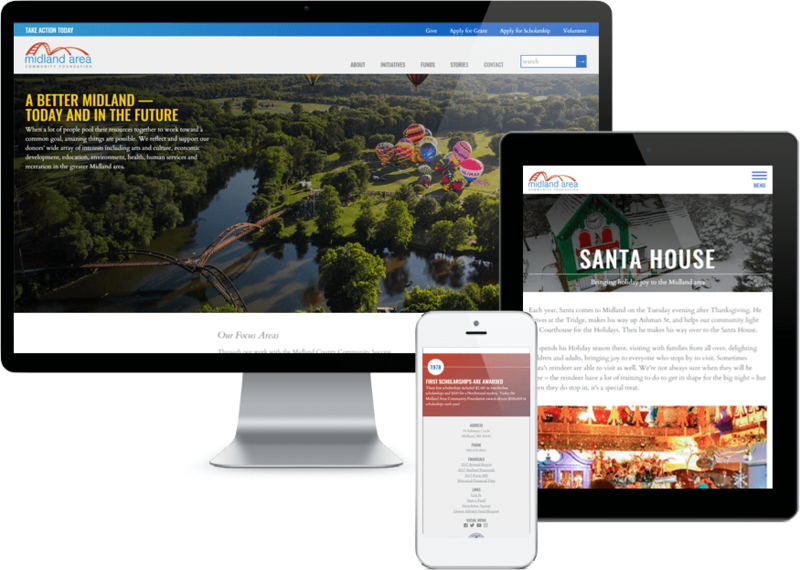 The Foundation was struggling to manage their website’s huge array of pages. Our mission was to simplify the back-end while still supporting a variety of content types. They used to have to create a fund on their website (as a blog post), then also add it to their donation platform that was hosted separately. Managing 600+ funds in two separate places got out of hand. We customized a new donation platform to integrate seamlessly with the website. When they add a new fund to the website, it’s automatically added as an option in their donation form. And when visiting a fund, users now have the opportunity to donate without leaving to a separate “Donate” page. Fewer clicks and a more intuitive experience will lead to better conversion rates, which means more money for great stuff in our community.